Looking for fresh ideas to do some interior Redecorating in your home with French Accents? 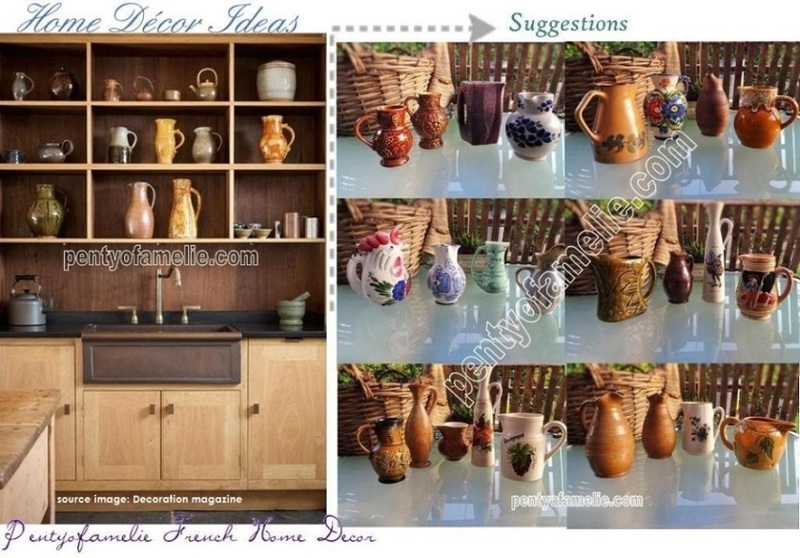 A perfect opportunity to embellish and Redesign your Kitchen walls, for replenishing shelves. Vintage Bar Decor. 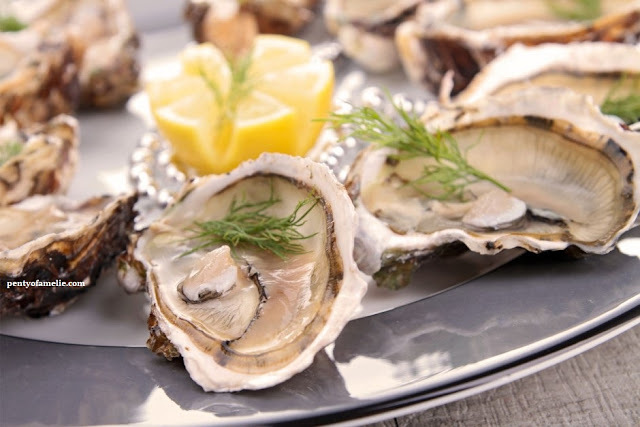 Useful Retro Kitchen and Drinkware. 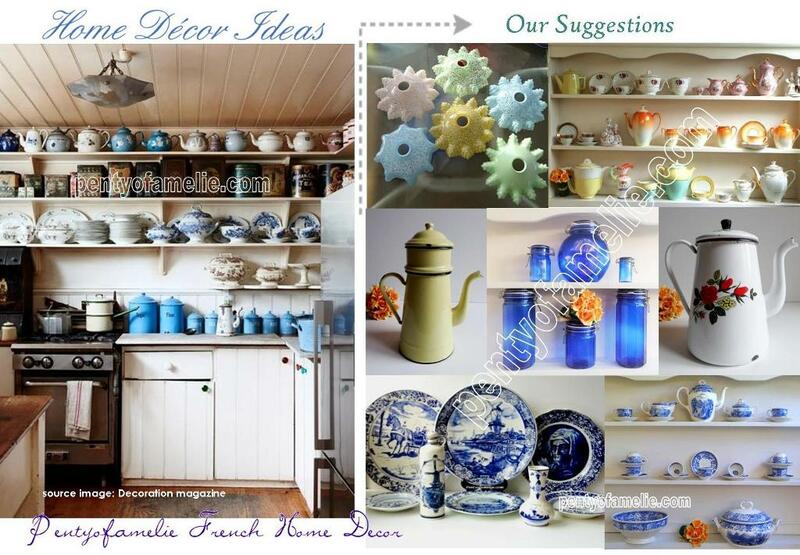 Kitchenware available in Blue and White, Pastel Tones, different materials, all blend easily into any kitchen décor. 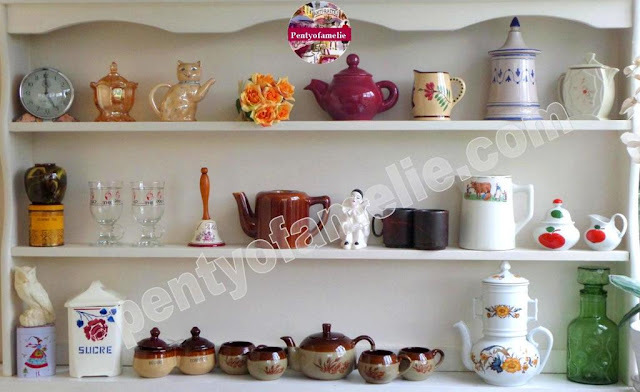 A good and unique idea to decorate the shelf of the kitchen with Several Graniteware Teapots, Enamelware Coffee Pots in Yellow, White, Cream background with multicolored Floral motif, we can offer a wide range of Authentic Renowned Porcelain and Ceramics Tea Set made in France and abroad, Find also Cobalt Blue Glass Jars, White and Blue Pottery Dinnerware set, as Villeroy Boch, Blue Delftware made in Holland. 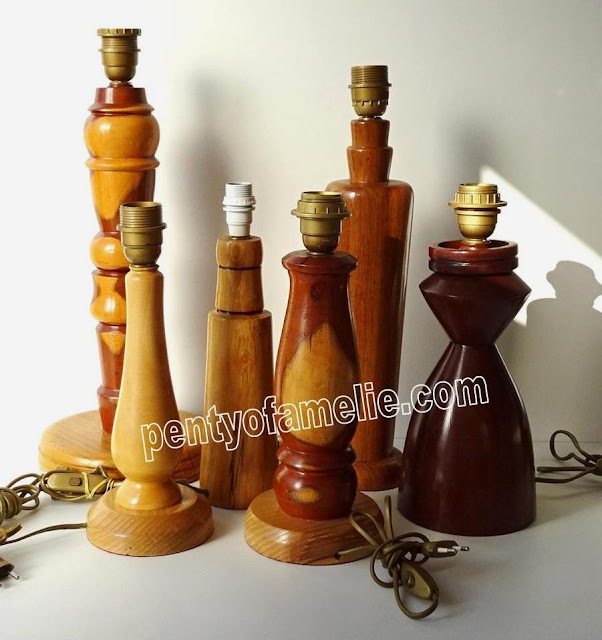 Old fashioned glass, opale lamp shades, opaline Glass ceiling lights are available. 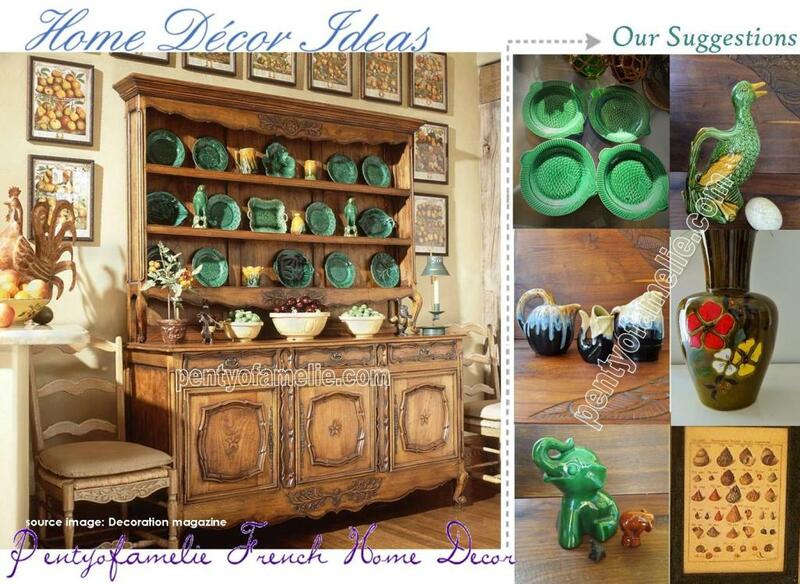 Your Kitchen Oak Buffets and Hutch filled with Emerald Green, Creamy Tone Items. 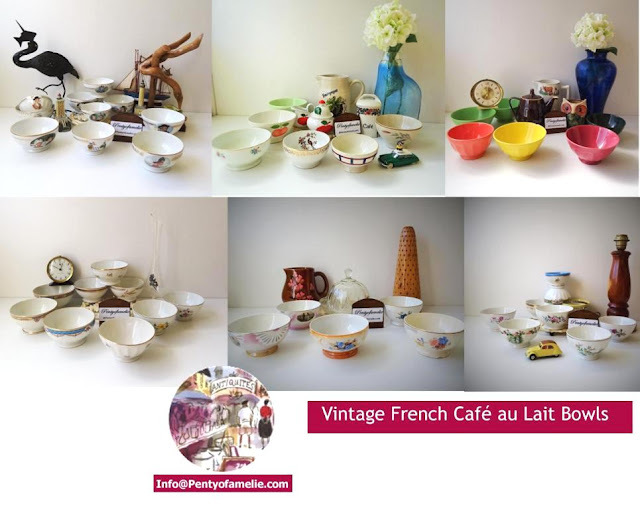 Antique French Potteries, as Sarreguemines Fish plates, St Clement Elephant Moneybox, Poet Laval Large Flowers motif Vase, Alpho Saint Uze Drip Glaze Pitchers in various shapes, Barbotine Duck Pouring Jug by Whats Pottery, plus Framed Seashells Illustrations for Decorating your walls. It's Beer O'clock! 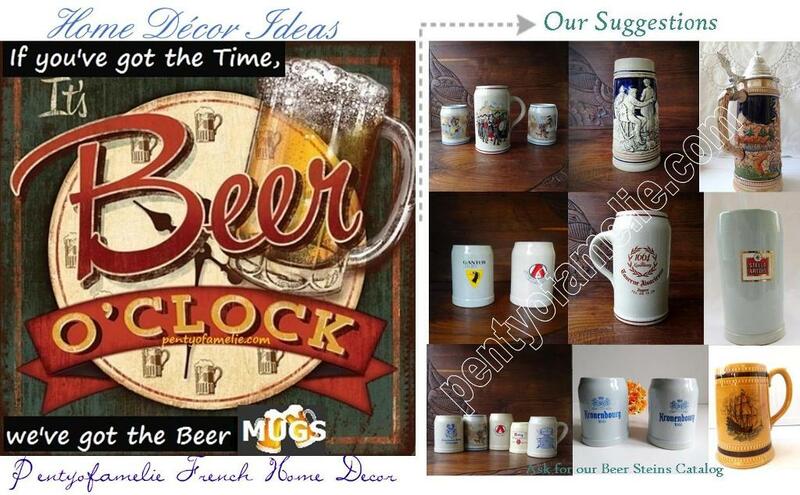 If you've got the Time, we've got the Beer Mugs. Old Style Oktoberfest. Man cave Decor, Retro Beer Tankard, Ceramic Beer Mug with Pewter Lid, Vintage Barware. Lidded Steins. 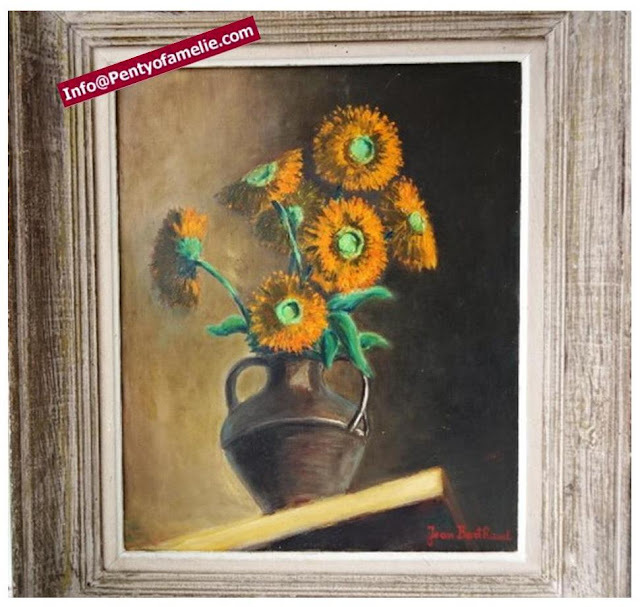 Barbotine, Hand Painted, either made of Porcelain, Ceramic, Faience, or made of Glass with handle, we can provide a various stock and sizes of European, French Vintage Beer Steins, German Beer Mugs, Traditional Old Style Oktoberfest Glasses.